From left to right: Catherine Zagame (great grandmother); Joseph Zagame (great grandfather); Joseph Zagame II (father); and Joseph Zagame III (author), age 18 months. 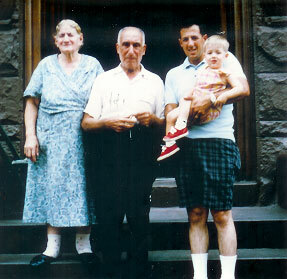 Joseph Zagame is a third generation Italian-American. He lives in Central Florida with his wife and three sons. The Immigrant is his first novel.